Volkswagen will soon begin testing connected radios in cars that will allow listeners to create personalized playlists. The new system, which VW expects to begin testing in 2011, will let listeners choose the content, and stream it directly to their device. Listeners will be able to choose from a variety of programming options and build a playlist. Volkswagen has chosen, somewhat curiously, to call this a Hybrid Radio. I suspect that name, which has come to carry a meaning of alternative energy systems in cars, may change before the devices actually roll out in the US. VW partnered with German radio and streaming station Hit-Radio Atenne Niedersachsen to develop the system. Testing will of course, begin in Germany. No word on when units will be available to US consumers. Four fifths of online radio stations in Germany are only available online, according to a newly released study by the Bavarian regulatory authority for commercial broadcasting – BLM and Berlin strategy consultant Goldmedia. The study is based on a survey of 2692 online radio operators in Germany in 2010. Interest in online radio grows every year. About 11 million Germans listen to online radio at least occasionally, according to a 2009 Online Study 2009, and 12 percent of all Internet users are already using online radio regularly. While FM radio channels are turned on mainly in the morning, online radio is mostly listened to in the evening. About 44 percent of all streaming services are already available on mobile phones. Mobile app services offered by stations have also increased. More than 70 percent of FM stations reported having heir own apps, all of them for the iPhone. There has been a 40 percent increase in online radio services in Germany since 2009. “The new study documents once again the significance online radio listening has already gained and shows how manifold and creative this medium is. Traditional radio stations are obviously taking on the challenges posed by new technology and actively creating new services.” says Stefan Sutor, Director of the Radio Department in the Division Programme of the BLM. The study also concludes that mobile streaming options will further the popularity of the medium, but notes that the challenge will be making the offers and new program formats economically successful. NASA is holding a contest to decide which songs will wake up the crew on the final two scheduled space shuttle missions. According to NASA, wakeup calls are a longstanding tradition of the program. Each day during the missions, flight controllers greet the crew with wake up music and messages. 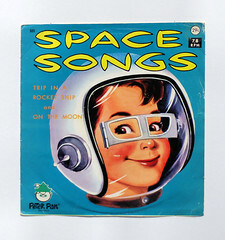 To vote, you can visit the NASA website and stream songs from the NASA Top 40 – a list of songs played on previous missions, along with crew communications from those missions. It’s a great list that includes songs by many artists including U2, The Stones and The Clash, James Brown, Stevie Wonder, Jimmy Buffett and more. The two songs with the most votes from the top 40 list will be played as crew wakeup calls on the final scheduled flight of space shuttle Discovery scheduled to launch on Nov. 1. The winning songs will be announced and played during the flight. A second contest invites artists to submit original songs for the last mission. Songs should be submitted by January 10, 2011. The public will also have a chance to vote on finalists and choose two that will be played on the final mission scheduled to launch on February 26, 2011. You can visit the site, listen to the songs and vote here. Streaming is a very good thing for the music industry. So says a new study conducted on behalf of streaming services company Aspiro Music. Streaming music reduces illegal filesharing activity and increases overall listening to music. The survey, conducted in Norway in June, shows that one of three Norwegians have now streamed music. A good 60% say they feel more up to date on music, 68% listen to more music and 72% say they often find music they didn’t know about prior to using a streaming service. Streaming increases both the total consumption of music, as well as broadening the range of music people listen to. “We believe that efficient and payment-based streaming services will lead to better economy for artists, record labels and rights holders long term, and that it will turn around recent years descending revenue trend”, commented CEO of Aspiro Music Per Einar Dybvik. Aspiro Music produces branded and white label streaming music services based on payment or subscription models to a variety of companies, including T-mobile.